The concept of reality television has always been a misnomer. An unscripted dramatic presentation might be a better description, but even that rings false once the editing process takes place. 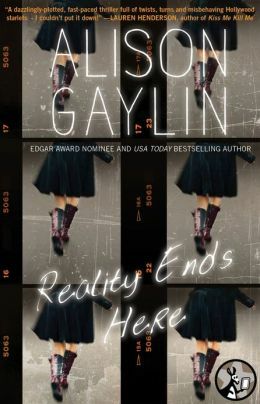 No one knows this better than Alison Gaylin, who has just written her first young adult novel, Reality Ends Here, set in the world of reality television. Reality Ends Here is the story of Estella Blanchard, who – with her family – is part of the reality television sensation Seven is Heaven. Estella has absolutely no interest in being a television personality, but since she has sextuplet siblings that America can’t seem to get enough of, it doesn’t look like she will be able to avoid it for the time being. Often represented as the trouble-making older sibling, things take a turn for the worse while filming the special Christmas episode of the series. Under the tree is a gift for Estella from her long deceased father. Her family, the production people and even the strangers watching at home start to believe that Estella sent this package to herself in order to create drama – as if the show needed any more of that. Rather than halting production any further, their solution is to send Estella off to therapy. Readers who are familiar with the variety of personalities that make up stardom today will find much to love about the therapy session’s participants. Called “Too Much Too Soon,” the group therapy is run by a has-been sitcom star who will bring to mind Gary Coleman (of Different Strokes fame). Also taking part in the sessions are Jake Astor, an ex-boy-band member, along with the child spokesperson for a chain of family restaurants, a youthful YouTube sensation, and the star of the teen soap Glitz, among others. With these clients calling each other castmates, it is impossible for readers to take this section too seriously, and yet in the back of our minds, we all know that many young stars today could use some serious therapy. Eventually, Estella finds a kindred spirit in Jake who not only believes her when she says that maybe her Dad is alive, but also agrees to help her investigate. Joined by Dylan – another of the “Too Much Too Soon” kids – they face adversaries as diverse as: evil henchmen, misguided producers, and unethical paparazzo. With no adults around them that they can trust, these young people must rely on their own devices and the advice of each other in order to find the answers. After reading Reality Ends Here, it is unlikely that readers will ever watch these types of programs the same way again. As just another form of entertainment, there is nothing wrong with them, assuming that all members are participating willingly – which is not always the case with underage children – but we must remember that reality is a very different thing, which is seldom portrayed for the sake of entertainment. Alison Gaylin has taken this very specific cultural phenomenon and has created an insightful examination of the personal ramifications of forced stardom while wrapping it all in an entertaining little mystery. Turn off the television for the night and give Reality Ends Here a chance. 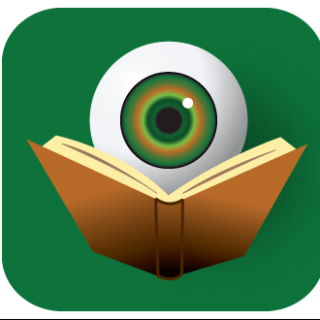 Available as an e-book only and with a list price of $1.99, it will be money well spent. Scheduling Update: Stop back at BOLO Books tomorrow for our interview with Alison Gaylin.